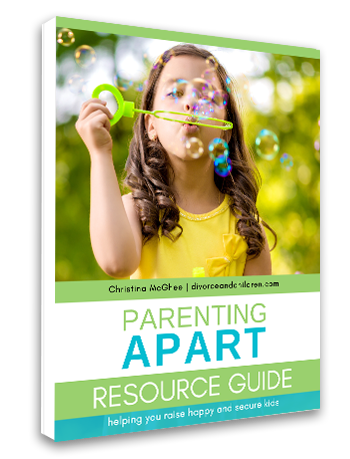 If your repeated requests to “nix the junk” are falling on deaf ears, it’s time to consider a new coparenting approach. From what time Jacob should go to bed to whether or not Haley should be allowed to go to a concert with her friends. What one parent sees as a perfectly acceptable parenting choice may very well be the exact polar opposite of your opinion on the matter. Should Jack have Twinkies and a soda in his lunchbox? You say “No,” the other parent says “Yes” and so the clash over who is right and who is wrong begins. Sound familiar? It’s a situation one mom from our parenting community knows all to well. She wants to know what she can do about ongoing snack skirmishes with her Ex. Q – “What do you suggest I do when my Ex drops our young children offloaded with goodies, such as ice cream, cookies, and soda? He knows I don’t allow the kids to have those things in my house. Every time they show up with a treat, I am livid and end up saying things to the kids I regret later. I’ve repeatedly asked him not to send them home with junk. Despite my requests, they are still returned right before bedtime with a soft drink in hand and a bag of snacks. I usually tell them they can have one last sip (which almost always turns into a BIG, LONG sip.) They are then told they need to throw away the rest and get ready for bed, which often results in lots of fussing. If your repeated requests to “nix the junk” are falling on deaf ears, it’s time to consider a new approach. Instead of getting worked up every time the kids come through the door with goodies, rethink whether this is something worth battling over. Your idea about how to handle the soda sounds like a good one. If you want to have more control over how much your kids have before bed, I would recommend pouring it into a glass for them. Although every fiber of your being may want to scream your head off, resist the urge to rehash the issue with your kids when they come home. Sounding off about Dad isn’t changing anything and your kids don’t deserve to be caught in the crossfire. Likewise, avoid suggesting they do something different when they’re with Dad (i.e. “When Dad offers to buy you a soda, you need to tell him, “No, Mom says those aren’t good for us.”) Kids are always developing a new favorite something. If your issue is the caffeine, try introducing your kids to non-caffeinated choices like sprite, lemonade or a fruit based drink. By widening the variety, it’s quite possible they’ll latch on to a new favorite and make different choices on their own. I can pretty much guarantee continuing to bring attention to the issue will only make it a more attractive option when they’re spending time with Dad. As for other goodies, usually out of sight means out of mind with young kids. When your children bring something home, don’t make a big deal out of it. Reserve a place in a back cabinet or freezer and place the items there. If your children request an item, you can give them a reasonable serving when you decide it’s okay. For example, something Dad sent could be an after dinner treat. 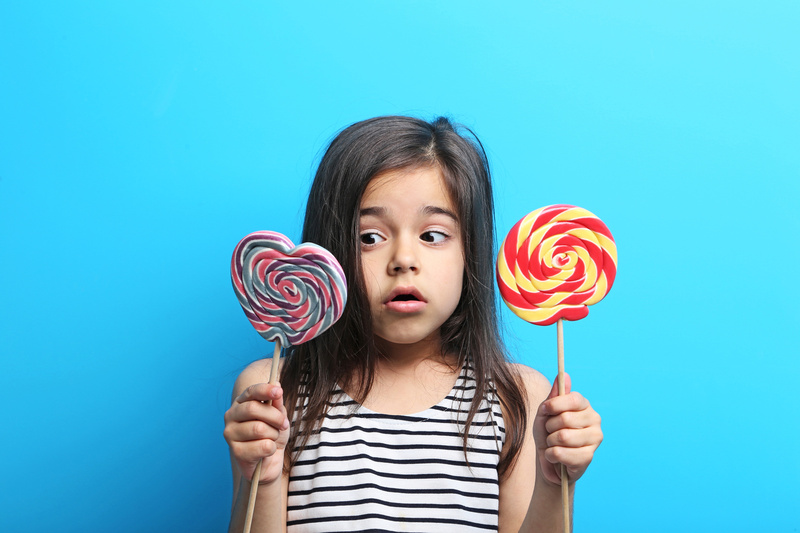 Should your kids expect a treat after every supper, you can let them know that in your home desserts or treats are not something you eat everyday. Remember different is just different; avoid comparisons or judgments about the other household. If your kids don’t ask for the snacks after a few days, you have a couple of options. You can throw them out when the kids aren’t around or you can suggest sharing them at an event such as a classroom party. Along with limiting the “goodies” consider educating your kids on healthy food choices and the value of exercise. When shopping you can teach them to read labels and compare food choices. What does a cupcake do for your body compared to an apple dipped in peanut butter? You may also want to check out websites and books from your local library for tips on teaching your kids about good nutrition. Just be sure you steer clear of making it an issue about Dad and instead focus on helping your kids build habits that will benefit them well into adulthood. What’s the biggest parenting difference you and your Ex struggle over? If you have a tip for overcoming your conflicting styles, please share your wisdom and post a comment below. Sage advice! I learned early if I worried about what was going on in the other household even before transitions it would create an unhealthy distraction. I stuck with my plan and focused on my gifts I had to offer, including structure and eating nutritiously. Eventually my kids learned what was more important on their own and good eating habits followed. Iive for most of the time), but feel powerless to change anything for them. To challenge these, we have made some fantastic routines (built from your ideas Christine!!) which were a collaborated effort between us all, in fact the kids decided the overall format and content. We cannot change things at “The Ex’s” but we can build new habits for them. We have just had the kids for two weeks over the summer holidays and have made some real progress. It takes time, and can feel an impossible task, but the best way is to change habits within them, and help them realise for themselves what is best for them. I am so proud to see my children growing from these experiences and making decisions based on these routines, and new habits, and know that as they get older, these habits will form an integral part of their lives. Si- Well done you! What a fabulous accomplishment. I couldn’t agree with you more, it is so easy to feel powerless when your style of parenting and your Ex’s way of doing things are worlds apart. However, when you can redirect your focus from what your Ex is or isn’t doing to instilling positive values in your children when they are spending time in your home, it can really make a difference. Grateful for the update and thanks so much for staying in touch. Don’t want to admitt you are right!! Situation my ex rarely cooks anything for dinner. Places and then make good choices in what you eat. Getting in trouble or getting yelled at . I wish I could say I had an easy answer for you. You’re right, not being able to influence or control what happens when your child is with their other parents is hard, especially when there are big differences in parenting styles. While you may not be able to change how Dad handles eating in his home you can put energy into helping your son learn how to cope with the situation. When I talk with kids I often tell them there are basically two kinds of problems, problems you can fix and problem you can’t fix. Just because you can’t change or fix a problem doesn’t mean you can’t learn how to handle it. Do you best to support your son’s feelings around the issue with Dad. Although it may not feel like you are doing much, having a parent who will listen and truly being heard is extremely meaningful to kids. If you haven’t already, I’d also encourage you to think about the situation from Dad’s perspective. Are there other factors that are contributing to Dad’s unwillingness to find healthier options? For example, is it a money issue? Does Dad view healthier options as possibly more expensive? Could it be a time issue? If Dad has limited time with your son he may feel opting for quick and easy is the best way to go. Perhaps Dad doesn’t feel comfortable cooking and doesn’t know what else to do? Good luck and thanks for sharing your thoughts!